Ban covers advertising for all HFSS food and non-alcoholic drinks. The mayor of London, Sadiq Khan, has confirmed plans to bank junk food advertising on the Transport for London network's out-of-home estate, starting from February. In a move to combat child obesity, the ban covers all ads for food and non-alcoholic drinks high in fat, salt and/or sugar, as well as those considered "less healthy" by Public Health England guidelines. From 25 February, the restrictions will be in force on the Underground, Overground, buses, TfL Rail, trams and river services. The decision followed a public consultation that began in May and has since attracted 1,500 responses. Khan said that 82% of responses supported the proposals, which have been backed by the Royal College of Paediatrics and Child Health and NHS England. 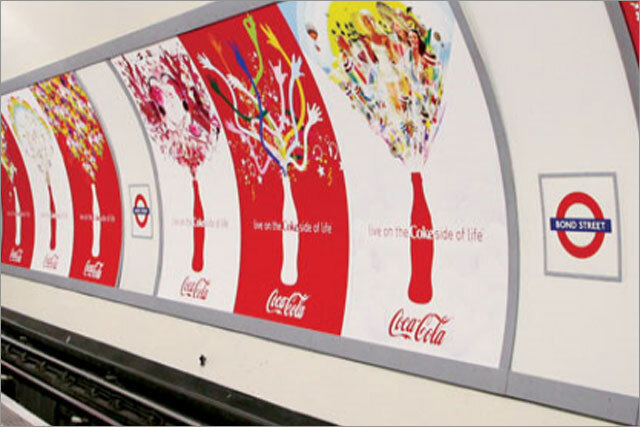 He added: "It’s clear that advertising plays a huge part in the choices we make, whether we realise it or not, and Londoners have shown overwhelming support for a ban on ads for junk food and drink on our transport network. "It’s completely unacceptable that, in a city as prosperous as London, where you live and the amount you earn can have a massive impact on whether you have access to healthy, nutritious food. I’m determined to change this." The move has prompted negative reactions from Outsmart, the outdoor advertising marketing body, the IPA, the Advertising Association, and ISBA. Justin Cochrane, the chair of Outsmart who is also UK chief executive of Clear Channel, warned the move would hit TfL's advertising estate by between £25m and £35m. "This is a missed opportunity by the Mayor. We have been urging City Hall to sit down with us and discuss how we could work together on a bigger, more ambitious plan to combat childhood obesity," Cochrane said. "We don’t think there has been a meaningful dialogue with City Hall during the consultation process, but we are still keen to work together to come up with a better plan. As such, we have written to the Mayor requesting a meeting to discuss the implications of implementing such rushed advertising restrictions, but also suggesting the formation of a working group, using the wide ranging skills within all of our teams, to develop a more multi-faceted, ambitious and sustainable plan." Paul Bainsfair, the IPA director-general, tweeted: "The Mayor would achieve far more if he banned eating on the Tube and buses. Not to mention making journeys more pleasant for everyone." The IPA's director of legal and public affairs Richard Lindsay described the ban as "throwing the baby out with the bathwater" because it would prevent advertising some products which may actually form part of a balanced diet despite being classified as HFSS. "The UK’s advertising agencies are renowned as among the best in the world. They are, of course, skilled ad creators, but they are also skilled problem-solvers," Lindsay added. "The Mayor might stand a better chance of achieving his objective if he included the UK’s ad agencies in his efforts to solve the problem of childhood obesity." The AA, meanwhile, complained that there is "no clear evidence" that a ban on HFSS products would have a positive effect on reducing childhood obesity rates in London. Stephen Woodford, the AA chief executive, said: "Not only will this measure fail to achieve the end goal of reducing childhood obesity, it will also damage businesses in our capital and reduce TfL’s income from advertising, with the potential of putting increased pressure on commuters through higher fares. "At the same time, it is missing the opportunity of using advertising’s support to solve the problem in a more effective way. There has been little interest to date from the mayor’s office in working together with industry to proactively tackle this important issue; however, we remain ready to work with the mayor’s office in a constructive way." Some "less healthy" products may escape a ban if they can prove with evidence that they do not contribute to HFSS diets in children. Khan added that TfL and his office will now "work with brands, advertisers and public health bodies to agree a robust approach" to making decision over exceptions. But James Barge, director of public policy at ISBA, insisted it wanted to play a role in making the Mayor's childhood obesity "proportionate and effective" but that this ban creates "regulatory confusion". He added: "We are disappointed that today’s announcement appears to create a disincentive to companies reformulating their products, creates contractual uncertainty for advertising taken out beyond February and creates regulatory confusion when it comes to brand and creative content."